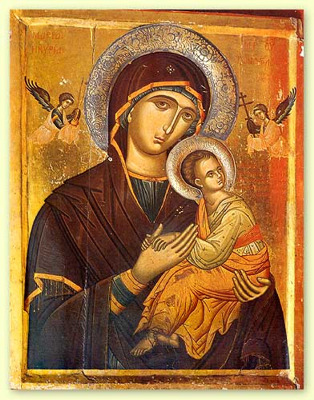 The Blessed Virgin Mary is the mother of Jesus Christ. She was married to Joseph. Mary became pregnant after the archangel, Gabriel, told Mary that she would conceive and bear the Christ child (this is known as The Annuciation, and is described in the Gospel of Luke). The story of Jesus Christ's birth, known as the Nativity Story is told in the Gospels. According to the Gospels, Joseph and Mary travelled for Bethlehem for a census. Mary and Joseph were unable to find a place to stay in Bethlehem, and had to take refuge in a stable. It was in the stable, in the humblest of circumstances, that the Lord Jesus Christ was born.